Henry Bibb was an American-Canadian writer, publisher, and abolitionist. In the 1950s, Bibb and his family settled in the Windsor region and he was elected as the president of the Windsor Anti-Slavery Society. Henry Bibb was born May 10, 1815 in Cantalonia, Kentucky. Bibb would marry a mulatto slave named Malinda in 1833, with whom he had a daughter named Mary Frances. In December of 1840 he managed to flee his way alone to Detroit with the intention of securing safe passage for his wife and daughter. However, during his time Malinda was sold as a mistress to a white plantation owner and the family would never reunite. In Detroit, Bibb focused on his career as an abolitionist, joining the anti-slavery moment and traveling throughout the United States to lecture. During this period he met Mary Elizabeth Miles, a member of the Anti-Slavery Society in Boston, whom he would marry in 1848. In 1849 he published his autobiography: Narrative of the Life and Adventures of Henry Bibb, An American Slave, Written by Himself. In 1850 the Fugitive Slave Act was passed, which increased the danger to Bibb and his wife. The Bibbs migrated to Canada and settled in Sandwich, Upper Canada – present day Windsor, Ontario. 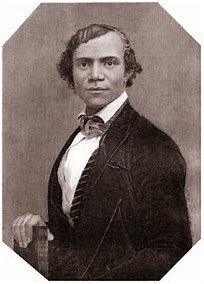 Bibb set up the first black newspaper in Canada in 1851, The Voice of the Fugitive. The paper continued to be printed until a fire destroyed the printing house on October 9th, 1853. During 1851 he also helped found the Refuge Home Society, a black colonization project established in Detroit to help meet the needs fugitive slaves living in Canada. On October 21st 1852, Bibb was elected president of the Windsor Anti-Slavery Society. Bibb would continue publishing a one-page newsletter until his premature death in Windsor on August 1st 1854. Tobin, Jacqueline. From Midnight To Dawn: The Last Tracks Of The Underground Railroad. Doubleday. 2007.
Cooper, Afua. My Name Is Henry Bibb: A Story Of Slavery And Freedom. Kids Can Press. 2009. “Bibb, Henry Walton.” Dictionary of Canadian Biography. Web. Accessed Feb. 13, 2018. Bibb, Henry. Narrative of the Life and Adventures of Henry Bibb, An American Slave, Written by Himself. Henry Bibb. 1849.